A few weeks ago, I did a fabric swap with Louise from Sew Scrumptious. 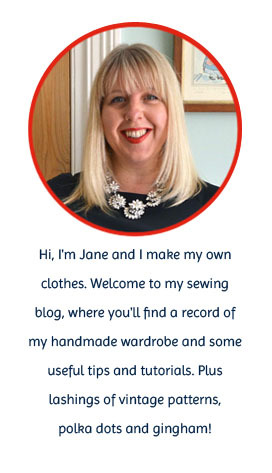 Louise has a great blog and makes some really lovely craft items. She's also been fantastically encouraging about starting my own blog. We swapped fabrics, Swap Shop style, and a week later I received a metre of this gorgeous pink and grey roses fabric. I love roses and I love grey so it was perfect. It was pretty simple to make, I even added a few gathers at the top just for the hell of it. I'm quite tempted to make a few more and sell them - I've got loads of flowery fabrics which would be perfect. If I do, I'll make the tie straps longer - they just about tie into a bow around me and I'm smallish. What a great swap! I love the fabric you sent too. Your apron has turned out beautifully and you must look stunning in the kitchen now!